Dillian Whyte and Ian Lewison will clash on October 7 in Glasgow, Scotland, with the vacant British heavyweight title at stake. A solid and intriguing match-up, Whyte-Lewison will see two fighters who each have an exciting style going at it. Whyte, 18-1(14) will be having his second crack at winning the British crown, having failed, in a great action fight, against Anthony Joshua in what is his sole pro loss (being stopped in the 7th-round of a fight that saw both men hurt in December of last year). Lewison the older man by six years at age 34, is 12-2-1(8) and he has never been stopped. Lewison, from London like Whyte, wil be having his first shot at the British belt. Lewison does not enjoy as high a profile as Whyte does, but he is a good fighter and a number of people expect him to win next month. Not having lost since he was out-scored over three-rounds by Derric Rossy in a 2013 edition of “Prizefighter,” Lewison has won his last five fights. Whyte says he fully expects to win and then go on to bigger and better things, but he could have a tough night against Lewison. How good is Lewison? How good is Whyte? This match-up will likely see both men tested. Whyte has to be the favourite to win, based on his greater experience and the fine showing he gave against the undefeated Joshua. Whyte couldn’t get the stoppage win last time out, though, when he was forced to go ten rounds with David Allen. 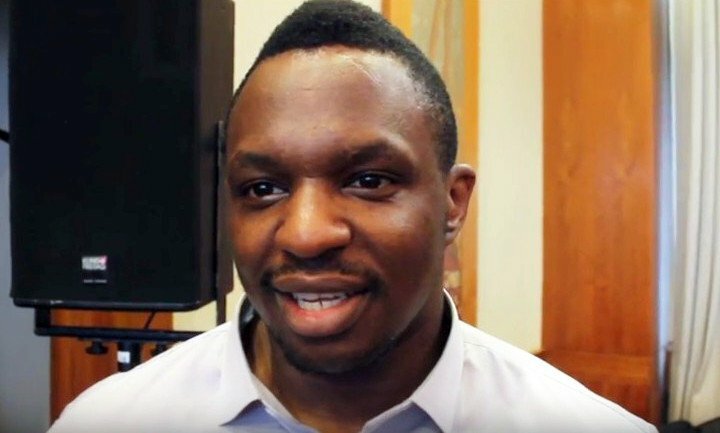 Is Whyte’s punching power perhaps overrated? Lewison has faith in his own power, going by the nickname of “Lay Em Out” and fans might get treated to a good, old fashioned slugfest with this fight. In years past, the British heavyweight crown meant a whole lot. Maybe this fight will bring back some of the old lustre. Prediction: Whyte to come through some rough patches before winning via late stoppage in a fan-friendly affair of a battle.